Automatic spring return wire strippers suitable for cable up to a maximum of 6.0mm² (thumbwheel adjustment for different sized wires). 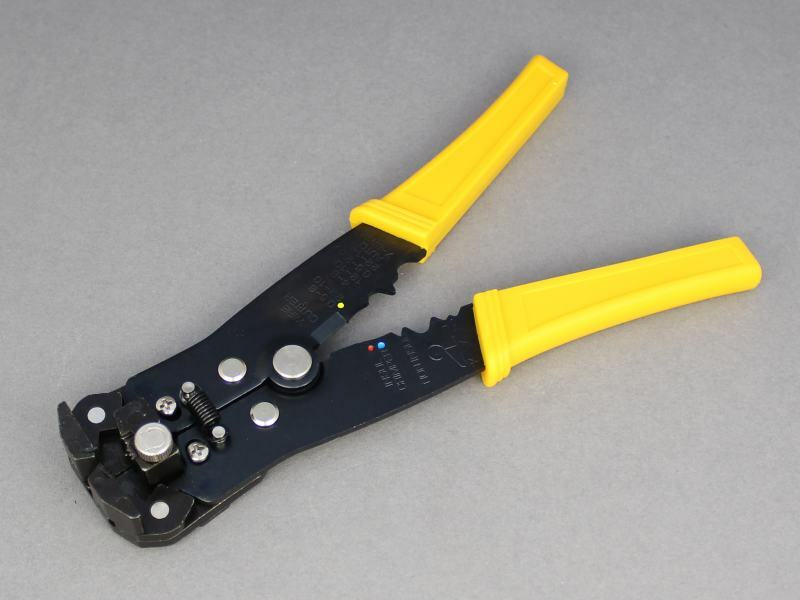 These strippers can also crimp insulated and non-insulated terminals. Why did I never buy these before?! Highly recommended! 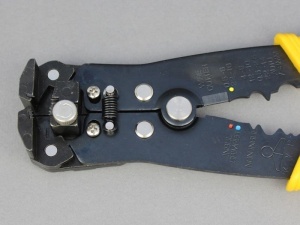 First time I've used this type of wire strippers, took me a minute to realise the wire goes in via the side. Only used it to strip 1mm so far, but works well, no lost strands. Good value.